(syn Bagatelle) This free flowering French variety has proven its worth over the last 70years. 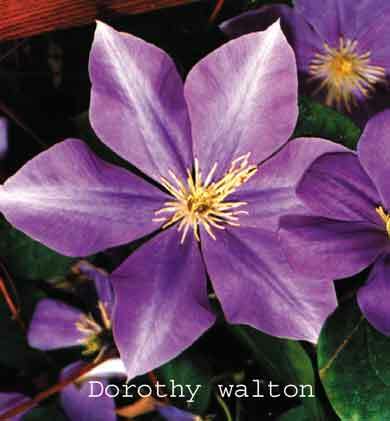 The very pointed 5" (12cm)flowers are mauve with a darker edge and center bar. The blooming time is mid summer and well into fall on a compact 8' (2.5m) frame making it an ideal container plant. Pruning group C.